Follows Jackson, a young Civil War veteran who wakes up to find his beautiful wife kidnapped by ruthless bandits. Diablo release date was Friday, January 8, 2016. This was a Limited in theaters release. 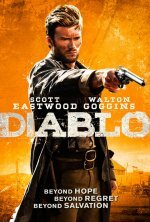 Diablo debuted at the 2015 San Diego Film Festival, where it won the jury award for best feature film.